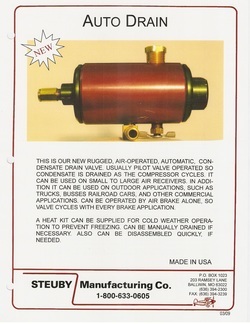 Valves - Steuby Manufacturing Company Inc. 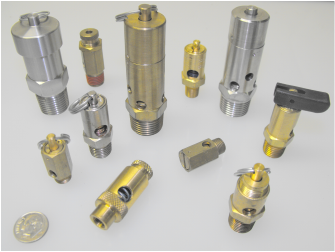 These In-Line Check Valves are designed for high flow rate using a rugged single-piece brass body for longer life. 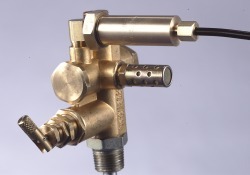 Valve core consists of Stainless Steel Spring, Mechanical Teflon Poppet, and Brass Guide. Sizes 1/4" Thru 1-1/2"NPT. 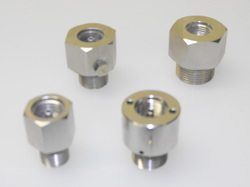 1/8"FNPT Side Port available on all models. 400 F and 500 PSIG. High Temperature Version and Specials Available - Consult Factory. CT100 Carry Tank valve is made of high quality Materials including Anodized Aluminum Knob to prevent breaking. 1/2"MNPT Tank Mount, 1/4"FNPT Hose Port, and 1/8"FNPT Pressure Gauge Port. Buna-N Seals. 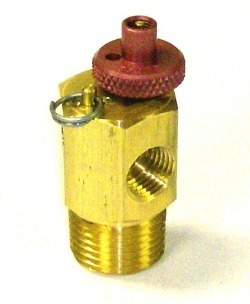 Built in Safety Relief Valve with Silicon Rubber Seat and standard settings of 100, 125, and 150PSI. Made in USA. Ruggedly built for long trouble-free operation, the Loadmaster Valve and pilot valve for vent unloading continuous-run compressors. Pre-determined cut-in/cut-out pressures are factory-set. Toggle allows easy-to-use manual unloading. 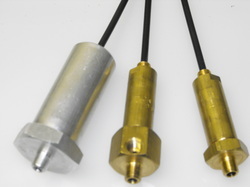 Unique glass-filled Teflon poppet shields spring from hot compressor air providing longer life. 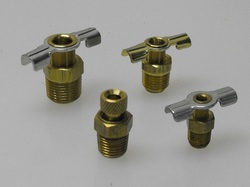 Optional top or side inlet is available with NPT, Compression or Flare fitting for ease of installation. Auxiliary port is provided for engine throttle control. Air Vending Machine model available. The DU1814 Discharge Unloader, when combined with the PV1418 Pilot Valve, provides a simple and inexpensive Unloader for continuous-run compresors. The DU1814 screws into the PV1418, then at a predetermined cut-out pressure, the Unloader vents the compressor discharge line to atmosphere. Eliminates head unloading. Also for use on Gasoline-driven units. 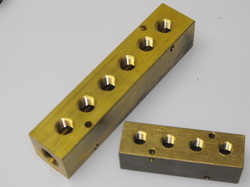 Solid Brass with Teflon Poppet and Viton "O" Ring. In-line filter. Muffler available. 400 F Max. 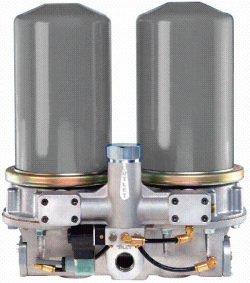 Jetpak is a practical and efficient solution for ensuring clean dry air. Reliable and Compact. Easy to Install. Maintenance is a simple as changing the screw on desicant cans. Typically requires less than 10% regenerations air. Modular expansion to 1000SCFM. AD100 AutoDrain is a High Capacity Differential Pressure Condensate Drain Valve. Made from Anodized Aluminum, Brass and Stainless Steel. Viton and Mechanical Teflon Seals. 1/4:FNPT Mounting. High Flow Rate. Made in USA. 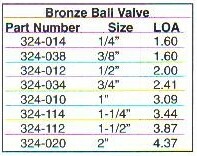 NPT Full Port Forged Brass Ball Valves. Suitable for Full Range of Gases. 1/4 Turn Open Close Operation. Viton O-Ring to prevent stem leakage. 600WOG. Temperature Range -40C to 65C. Chrome Plated Solid Ball and Blow Out Proof Stem. Avialble to 4"NPT. Specials Available - Consult Factory. 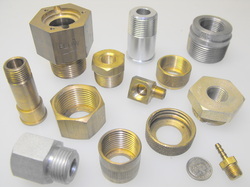 Need a Special Fitting for your Equipment or Assembly? Steuby Manufacturings Machine Products Division offers Production Metal Products of the highest quality and competitive value. Visit our Machine Products Page for more information.